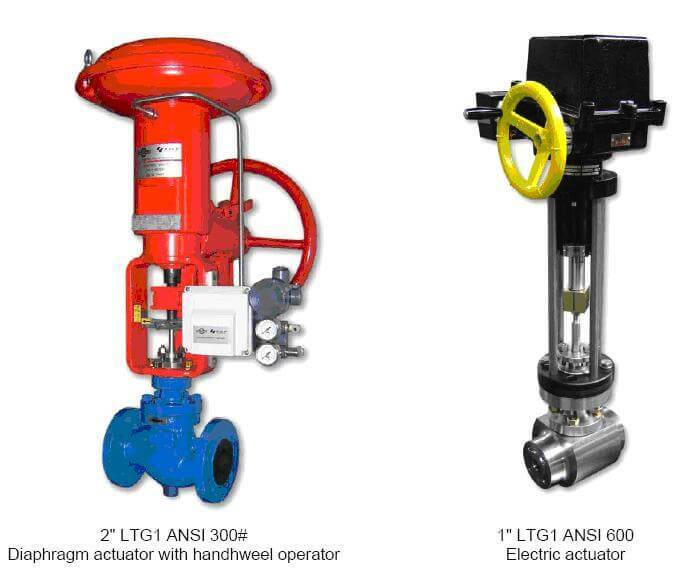 Globe straight-way, single seat LTG1 and LTG2 series are very versatile control valves of general use for any applications under moderate p/T service conditions. 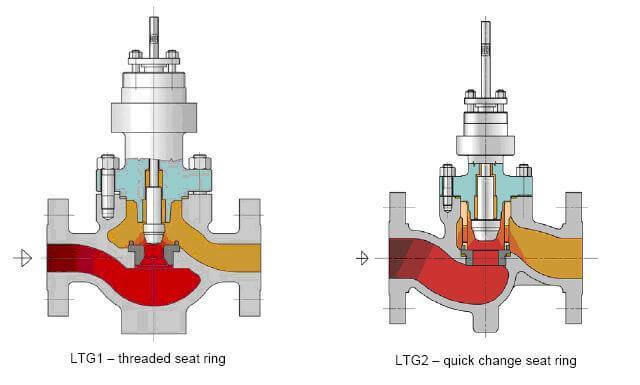 LTG1 is the standard design with screwed seat ring while LTG2 is the corresponding quick-change version with the same flow coefficients and pressure differentials capability. Due to simple construction and to the large range of available materials these valves are suitable for a wide range of applications, also for corrosive, dirty, sticking and slightly abrasive fluids. Angle-body special design is also available for LTG1 and LTG2 control valves. soft seat – only for contoured and flat disc.